What if the forwarding service goes away? - Ask Leo! What if the forwarding service goes away? There is little that you or I can do when a website goes away except to use online tools to try to trace it, or find some other way to replicate the service. Some years ago, I subscribed to an email forwarding system by the name of forevermail.com. This allowed me to change the ISP without changing my address. However, forevermail itself appears to have gone out of business. It has obviously left the forwarding addresses functioning on a server somewhere because the few users’ emails from users that have not changed to my address still arrive in my Outlook system. Do you know how I can remove this old address? I’ve tried mailing the domain owner, but I get no reply. With your advice, I have purchased my own domain and therefore, I control of my own address now. In your scenario, there’s practically nothing that can be done. If a service that you rely on goes away, you’re basically out of luck. There really isn’t any protocol or particular leverage that you or I might have to do something with a company, website, or service that disappeared. But I do have some suggestions on what you could do. If you haven’t tried it yet, I would check the Whois record. Whois.domaintools.com is one service that I frequently use to look up Whois records and see if there is a contact email. That way, you can email them and see if they will do something. My guess is you’ve already done this, but I want to mention it, in case you haven’t. Because people are still sending you messages to this account, email them and tell them your new email address. If you have notifications, newsletters, or other services that you signed up for, go to their website and change your email address with those services. You could also go so far as to set up your own automated response. If your email service allows it, set up an automated response. 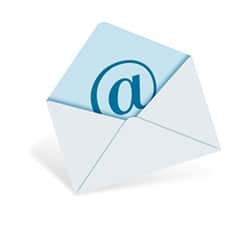 When someone sends you an email to that old address, you can set up your email to send a response along the lines of, “Hey, this isn’t my email address anymore. Please use my new email address.” Whatever message feels comfortable to send to people who might still have your old address. That’s basically setting up your own bounce message, which is probably better than the alternative anyway. If the old email address goes away and the service starts bouncing emails sent to that address, their messages are likely to be much more cryptic and can’t include your new email address. Your auto response is probably going to be clearer to the senders than any automated bounce message would be. You’ve finished with what I think is the best solution: getting your own domain. As long as you own your domain, then you can have any email address on it. Keep it as long as you want it, using whatever email service to actually handle the email you want. Ultimately, when it comes down to a service like this going away, I don’t have any magic answers for you. But I do have to say that I find it incredibly ironic that a system whose business name is Forevermail has gone out of business. It clearly wasn’t forever! Why Did this Site Go Away? And How Do I Contact the Owner? - The site you're used to visiting has simply gone away. Tracking down the owner might not be easy to do. Why Am I Getting Bounced Notices to Messages I Didn’t Send? - Spammers want to send email that looks like it’s coming from someone who may be trusted. They want it to look like it’s coming from you - and you end up getting the bounce notifications. What are the Differences Between an Email Account, Address, Program, and Service? - Terminology around email can be confusing, and lead to incorrect answers to misstated questions. I'll review some common and important terms. Out-of-Office Replies are Evil - Out-of-office replies can ricochet through email lists like spam and even put you in harm's way. Are they evil? « Previous post: Why is Java telling me it’s not installed when it is? The auto respond message idea sounds nice, but wouldn’t that also alert spammers of your new address? Assuming that the “From:” address of the spam is legit, then yes, but I wouldn’t expect it to be much of an issue. A possibility, yes, but not a large one. Many thanks for your reply. I had already tried “WHOIS” and mailed the support address they gave for “forevermail” several times to ask why I could no longer access my account. I never received a reply. However, as one last effort I wrote to ask them to delete my address. Surprise, surprise, I received a positive reply and they even asked if I wanted another address I had forgotten about deleted. All seems well now. Being a forevermail customer myself, I think a couple of points were overlooked. 1). Forevermail “is and isn’t” out of business. While the website is gone, emails are still being forwarded to whatever email forwarding address you have in their system. However, because there is no website, you are unable to discontinue the service or change your forwarding address. Even when the website was still active, whenever I tried to pay for the service, my payment was accepted, but it was never billed to my credit card. 2). The dilemma here is that the forevermail.com customer is faced with a decision whether to let forevermail continue to forward their emails (assuming his true email address in forevermail is still valid) or find another email forwarding service elsewhere. Making a choice can be difficult because no one knows how long forevermail plans to continue forwarding their emails, nor can they find out. For me, this isn’t my first experience with an email forwarder going “belly up”. Before forevermail, I used akamail for email forwarding, but when they went out of business, the customer was at least notified with a “drop dead date” for when emails sent to akamail would no longer be forwarded. While somewhat brutal in the sense as it sent the customer off scurrying to find another email forwarder (and then notify everyone that sends you emails of the change), at least you knew what needed done and the amount of time required to accomplish it. In my case, I resolved the forevermail problem by opening a mail plus account with Yahoo! and they are now my email forwarder. Then, I simply added a subfolder to my MS Outlook Inbox called “Forevermail Inbox” and made a rule to place any emails to forevermail.com in it. With this is place, I immediately know this sender needs to be notified of my new email address. I just hope Yahoo! stays in business and maintains its forwarding service as notifying everyone to change your email address is a nightmare. I use a spreadsheet to keep track of the ones I’ve changed and have over 100 so far. While that may seem like a lot to a few folks, I’m sure I’m a “piker” when compared to the majority.